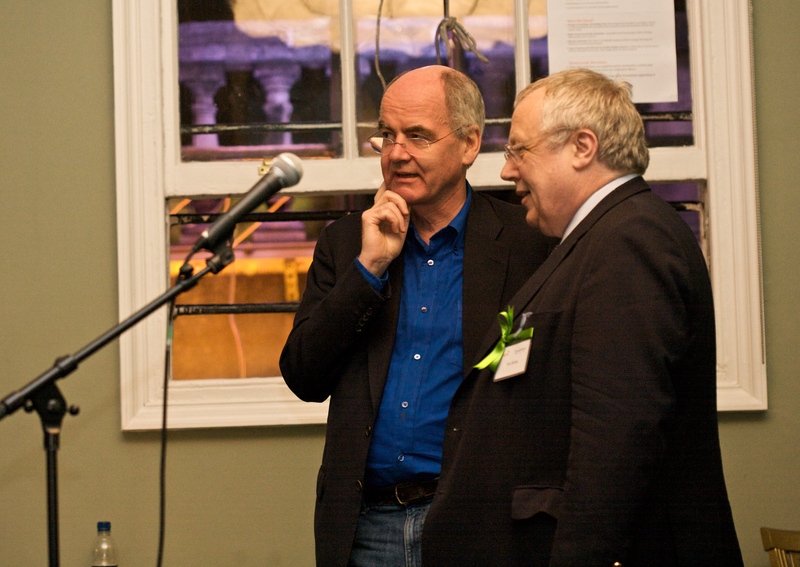 The discussion between John Elkington (JE) and Tom Burke (TB) was based on questions received from our attendees during the registration phase. With over 250 questions sent to us, it was inevitable that we should theme them and pick the most recurring and relevant ones. Here are the questions we posed and some snippets and summaries from the answers that inspired us the most. TB’s initiated the conversation by stating that sustainability is an inappropriate word which misses the point, and that businesses are sustainable if they are able to sustain a rate of return of 15% (more or less…) on assets deployed. The real point, TB argued, is to look at the contribution that businesses are making to sustainable development, something that all of society should aim to achieve. TB suggested that businesses “just get on with it”, with real innovation emerging as problems continuously get solved. The next question addressed the way to balance what is practically possible with that, which is necessary for sustainable development. TB argued that there isn’t a balance to be made, and the very action of searching for the balance misunderstands the question that is posed by sustainable development. That is figuring out how to preserve the social and environmental conditions that allow development to continue, globally or locally. JE sees sustainability as the way in which we will cope with 9 billion (or so) people on the planet by 2050. He stated that one of the fundamental problems with this in relation to business is the almost constant search for innovation in companies that are known and admired. Instead, businesses should be looking at innovation happening on the edges of the system. TB stressed that there are nine realms of innovation, we tend to focus on technological innovation but we should also look more broadly at legal innovation, financial innovation, political innovation, institutional innovation, intellectual innovation, regulatory innovation, societal innovation and cultural innovation! The discussion then moved on address where the capital needed for transformative change would come from. According to the TB, “we’re not short of capital but rather short of mechanisms which allow us to put capital where it can be the most valuable while reducing risk.” He also emphasized the need to change regulation which currently support short-term thinking. JE poignantly stated that we are heading towards a stage of intense experimentation and no one knows what is going to work, the risks in some areas are going to go off the curve and our capacity, financially, politically and even emotionally to ride through those discontinuities and to stick with these investments is going to be tested. In one way it’s easier to do that in a war, when everything is at stake – than it is in the period we are moving towards. Finally, TB argued that one of the reasons for short term thinking that exists today lies in the lack of a broad public sense of existential threat tied to the sustainable agenda. These snippets in no way capture the incredible depth and insights from the entire conversation so a link to the whole conversation will be posted here soon. This blog was written in collaboration by Ilana Taub and Sonia Naran.